UK pubcaster the BBC is preparing a documentary about poet Sylvia Plath and a special fronted by Sherlock scribe Mark Gatiss as part of a cross-network summer slate of arts programming. Produced by Rondo Media-owned Yeti Television, Life Inside the Bell Jar (1×60’) focuses on Plath’s autobiographical novel The Bell Jar and features the first on-camera interview with the poet’s daughter Frieda Hughes talking about her mother. The one-off show is directed by Teresa Griffiths, with creative director Siân Price and Angus McQueen exec producing for Yeti. Emma Cahusac commissioned the series for BBC2. 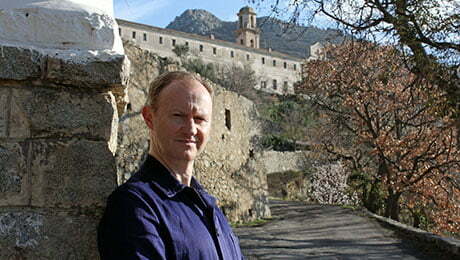 On BBC4, Mark Gatiss will explore 20th century artist John Minton. Mark Gatiss on John Minton: The Lost Man of British Art (1×60’) is produced by BBC Studios, with Judith Winnan exec producing. BBC4 will also be airing a number of singular documentaries on Monday nights, including Abducted – Elizabeth I’s Child Actors, produced by Wingspan Productions, and BBC Studios-produced Black British Artists – Britain’s Hidden Art History (working title). The former, which is exec produced by Archie Baron and Helena Braun, uncovers the true story of a child abducted from the streets of Elizabethan London by a theatre impresario who, intending to put him on the stage as part of a company of child actors, claimed to have the legal authority from the queen to do so. In Black British Artists, presenter Brenda Emmanus follows artist Sonia Boyce as she prepares to launch a new exhibition at Manchester Art Gallery to showcase the artists of African and Asian descent who helped to shape modern British art. Book-ending BBC4’s roster are miniseries What Do Artists Do All Day? (3×30’), a Pacific Quay Production for BBC Studios profiling Asian artists Anoushka Shankar, Mahtab Hussain and Raqib Shaw, and Open Mike Productions’ Working for the American Dream (1×90), an exploration of US history with comedian Rich Hall. Elsewhere on the pubcaster, series Fake or Fortune? (5×60’) and Alan Yentob’s Imagine (2×60’), both produced by BBC Studios, return to BBC1, while BBC2 will be airing The Royal Academy Summer Exhibition 2018 (1×60’), fronted by Kirsty Wark and Jayson Mansaray.